About 15 million Americans will have either Alzheimer’s dementia or mild cognitive impairment by 2060, up from approximately 6.08 million this year, according to a new study by researchers at the UCLA Fielding School of Public Health. 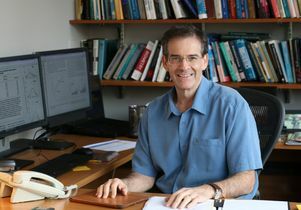 The findings highlight the need to develop measures that could slow the progression of the disease in people who have indications of neuropathological changes that could eventually lead to Alzheimer’s dementia, said Ron Brookmeyer, professor of biostatistics at the UCLA Fielding School of Public Health and the study’s lead author. The country’s population is aging and with it comes a growing number of people with Alzheimer’s disease. The study is published today in the peer-reviewed Alzheimer’s and Dementia: The Journal of the Alzheimer’s Association. The study is the first of its kind that has estimated the numbers of Americans with preclinical Alzheimer’s disease or mild cognitive impairment. They found that by 2060 about 5.7 million Americans will have mild cognitive impairment and another 9.3 million will have dementia due to Alzheimer’s. Of the latter group, about 4 million Americans will need an intensive level of care similar to that provided by nursing homes. Mild cognitive impairment is an intermediate clinical stage that does not yet meet the threshold for dementia. Brookmeyer estimates that today about 2.4 million Americans are living with mild cognitive impairment due to Alzheimer’s disease.